Again this event was organised by Lucy Davies and despite a late start owing to traffic problems 8 doughty competitors arrived at Hardwick House. The format was handicapped round robin doubles with first to 6 winning. The pairings and handicapping worked well with all matches being closely fought with good rests and some interesting shots! The last pairings on court proved to be the final as neither pair had lost. However Lucy Davies and Gill Goddard ran out worthy 6-2 winners over Anne Balcerkiewicz and Jane Burrage. 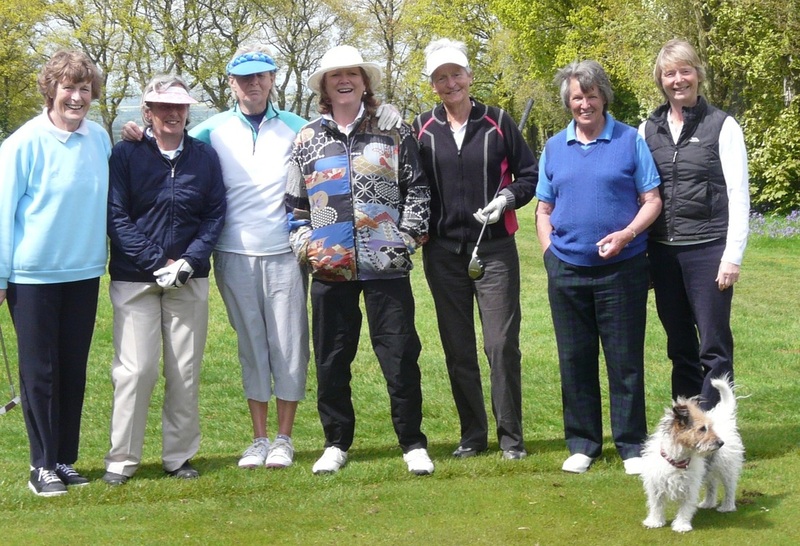 Now it was off to Huntercombe for a delicious lunch and then we were joined by Jill Newby and Huntercombe captain Annie McWilliams for golf. The course was stunning with vibrant bluebells everywhere and red kites overhead. Despite black clouds we managed to stay dry and returned to the clubhouse looking forward to tea and scones. The winner of the golf was Lucy with 34 points and Anne was second with 31 both good scores on a difficult day. Thanks again go to Lucy for her excellent organisation and enthusiasm for the day. A highlight in the calendar of those present and some of us have already entered it in our diaries for next year!!!! !